Filey Service Station has great reason to celebrate having just scooped the award for the best performing forecourt in Northern England* at the petrol retailing industry’s national awards. 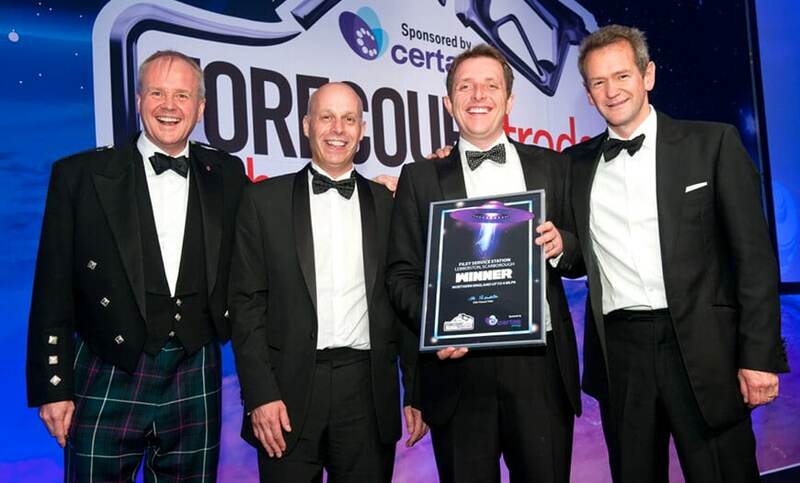 The JET forecourt, which is situated on the A165 between Filey and Scarborough, was chosen as the top performing forecourt in Northern England in its size category* at the Forecourt Trader of the Year Awards 2015. The judging panel was very impressed by the results of a recent £500,000 redevelopment with the 24/7 site now boasting five pumps, a 2,300sq feet SPAR convenience store, ample parking, an easy to access forecourt and state-of-the-art energy saving innovation and technology used throughout the forecourt and shop. Judges also praised the team at Filey for the immaculately well-maintained forecourt and shop and wide range of facilities for customers. *Filey Service Station won the Northern England up to 4 MLPA (million litres per annum) category of the Forecourt Trader of the Year Awards 2015.